The question of Aleister Crowley’s standing as a regular Freemason has been an issue of some controversy for many years. Thelemic and Masonic scholar Martin P. Starr wrote a learned article on the subject for Ars Quatour Coronati entitled “Aleister Crowley Freemason?”1 His conclusions implied that Crowley’s status as Freemason was probably not regular, but a closer examination of the question may lead to the opposite conclusion. This paper only purports to deal with this issue so far as U.S. Masons are concerned, though we will touch on the United Grand Lodge of England’s (U.G.L.E.) position in the conclusion. The crux of the issue relates to the vagaries of recognition of Grand Lodges and thus regular Blue Lodges in France. Anglo Saxon #343 was and still is a regular Blue Lodge, working the three principal degrees of Freemasonry in English, in full accordance with ancient practice and accord with the ancient Landmarks. Its membership then as now is composed chiefly of English and American expatriates living in Paris. Anglo Saxon #343 was at that time under the obedience of the Grand Lodge du France5, which was then, the only regular jurisdiction in France. Crowley was then living and enjoying the typical life of Englishmen in the Paris bohemian culture, hobnobbing with Rodin and other artists and rooming with his future brother-in-law, Gerald Kelly. Some of the details are covered, in passing, in Crowley’s //Confessions// and it is this period that is the subject of Somerset Maugham’s The Magician. Before proceeding, we need to take an aside into the arcane nomenclature of Masonic usage. Three terms that need to be defined are “irregular,” “clandestine,” and “unrecognized.” These terms are often used interchangeably in Masonic parlance, but in fact have different if sometimes overlapping meanings.7 “Irregular” is a term that applies to Lodges working degrees without maintaining obedience to the so-called ancient or antient Landmarks. These vary slightly from jurisdiction to jurisdiction in some particulars, but there are essentials that, if departed from, will cause derecognition by many other Grand Lodges and their dependent jurisdictions. Chief among these are the acknowledgement of faith in a Supreme Being, the placement upon the altar and the taking of oaths upon a Sacred Law (usually the Bible, but now almost any text the initiate affirms as sacred to himself), and the prohibition against making women Masons. Two of these points were at the heart of Masonry’s problems with Ordo Templi Orientis in the early part of the 20th century and led Crowley to his Oasis revisions now in use, that removed most overt Masonic symbolism from the first three degrees of O.T.O. The second term is “unrecognized,” and as can be seen from the previous definition irregularity can lead to derecognition and hence the terms are often confused. Each Grand Lodge and its jurisdictions recognizes various other Grand Lodges and their dependent bodies throughout the world, for the purposes of visitation and also transfer of standing when a Mason moves from one jurisdiction to another. This and the process by which it is determined are enshrined in a jurisdictions Masonic code; it varies from time to time and from jurisdiction to jurisdiction and as we will see is at the heart of the question of the regularity of Aleister Crowley’s initiation and membership in Freemasonry. The third term is “clandestine” and refers to Masons working without proper charter from the presiding Grand Lodge of their jurisdiction. This can be a relative matter, but essentially refers to irregular bodies working across jurisdictions and initiating those who would not normally be initiated into a regular Blue Lodge. CoMasons often fall under this classification, Prince Hall Masons were until recently and in some jurisdictions still are considered such, Universal Masonry as practiced by McBlain Thomson8 is the historically infamous example and as we shall see relevant to our tale of Crowley’s status. Crowley had already been initiated into an irregular from of Scottish Rite Masonry in Mexico City in 1900 and this ultimately led to contact with Yarker and his plethora of high degree systems. This included both the systems of Memphis and Mizraim and the Antient and Primitive Rites. Details of this can be found in Crowley’s own //Confessions// and in Martin Starr’s aforementioned article. This is turn led to his contact with Theodore Reuss and the O.T.O. which, as history has shown, had a profound affect and was among the most important moves in Crowley’s life. Reuss was associated with the degree monger McBlain Thomson, which led Crowley to contact with Spenser Lewis of AMORC among others. Crowley eventually distanced himself from Thomson and purged O.T.O. to a great degree of its infringements on regular Masonry, but the stigma was attached and the charges rightly and wrongly of his activities as a clandestine Mason still haunt his memory. During World War I the condition changed drastically with regard to U.S. Grand Lodges’ recognition of Freemasonry in France. In a flurry of patriotic fervor many U.S. Grand Lodges recognized, either fully or for the purposes of visitation one or both of the aforementioned principal Grand Lodges of France. Because Masons in the United States did not want to be put into the position of working clandestinely in France and also wanted the benefit of visitation for American troops fighting in France, 23 U.S. Grand Lodges recognized the Grand Lodge du France for the duration of the War, and many for greater of lesser periods long after the conflict was over. Some fewer number also recognized the Grand Orient of France. 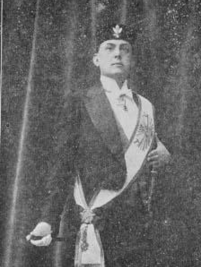 When this recognition occurred Crowley’s previous initiation would have become official and fully recognized by any U.S. Grand Lodge that recognized the Grand Lodge du France, its dependent bodies and membership. Some question this retroactive recognition, but it is well established in Masonic Code, for the simple reason that without it a Grand Lodge would be in the absurd position of recognizing Masonic bodies without recognizing any of their members. The precedence is fully established in gradual recognition of Prince Hall Masonry in various jurisdictions in the U.S. Further Crowley’s membership and standing as Freemason would have also been recognized so long as he maintained his membership in his mother lodge. Since this recognition extended into the late 1950s and early 1960s in the various U.S. jurisdictions that recognized the Grand Lodge du France during WWI, Aleister Crowley’s initiation would have been considered regular far past his death in Alabama, Arkansas, California, Colorado, the District of Columbia, Florida, Indiana, Iowa, Kentucky, Louisiana , Minnesota, Nevada, New Jersey, New York, North Dakota, Oregon, Rhode Island, South Dakota, Texas, Utah, Wisconsin, and Wyoming. These states represented and still represent the vast majority of Freemasons in the United States. The United Grand Lodge of England, on the other hand, has a committee that judges whether a person was ever a Freemason whenever there is a question of legitimacy. They have deemed Aleister Crowley not to be a Mason based on their judgement of his “character” in spite of the fact that they now recognize the Lodge into which he was initiated, whereas they recognize Mozart as a Freemason even though the Strict Observance to which Mozart belonged has at no time ever been considered regular by U.G.L.E. Luckily in the U.S. such matters are determined by Masonic code and such problems never arise. If a Grand Lodge is considered regular, the work of its subordinate bodies is considered regular. American Freemason’s can feel confident that with the recognition of the Grand National Lodge of France and its dependent body Anglo Saxon #103, Aleister Crowley’s mother lodge, Crowley’s initiation, passing and raising as Freemason was fully regularized and is technically recognized by Masonic code in every U.S. jurisdictions. Even in Crowley’s time, the vast majority of Freemasons in the U.S. would have considered his initiation regular with the recognition of the Grand Lodge du France, unrecognized until WWI but certainly at no time either clandestine or irregular. Aleister Crowley was for a great part of his life a regular Freemason and his life and work reflect the great lessons taught in Freemasonry. 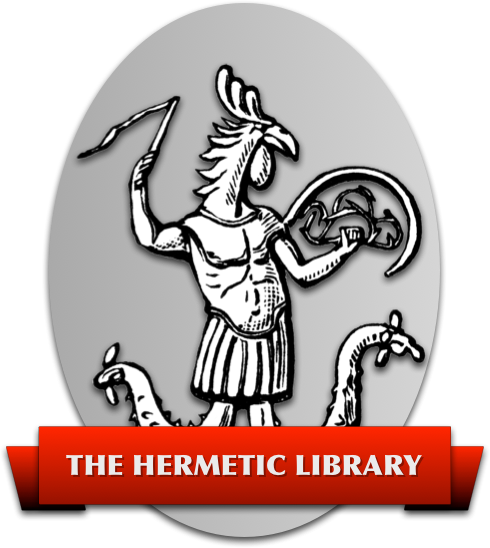 His magick, his work in the Golden Dawn, A∴A∴ and O.T.O., including the Book of the Law reflect Masonic ideas and ideals and his work cannot really be fully understood without the context of Freemasonry. Revised 26 May 26, 2011 e.v. KRE, Master Coph Nia Oasis O.T.O., PM Thelema Lodge O.T.O., Psyche Eros R+C Grants Pass #84, PM McKenzie River #195, Research #198 Oregon AF&AM; Reames chapter #7 RAM, Eugene #10 RAM; Super Excellent Master Hiram #7 & Rogue #23 Councils of Cyptic Masons; Melita #8, Ivanhoe #2 Knights Templar; 32○, Eugene Valley AASR; FGCR. 1 Starr, Martin. Aleister Crowley: Freemason. Ars Quatour Coronati Vol 108, 1995. 3 Nazi anti Masonic destruction in France seems to have made exact rectification of records impossible. 6 Paul M. Bessel. U.S. “Recognition of French Grand Lodges in the 1900s”.Heredom: The Transactions of the Scottish Rite Research Society. vol. 5, 1996, pp 221-244. 8 McBlain Thomson is an interesting character and was certainly guilty of degree mongering, but at the same time he offered opportunities to enter Freemasonry to those who, at the time, were shut out of mainstream Lodges, including blacks, immigrants, Catholics, Mormons, and women. The classic treatment of the subject is Issac Blair EvenÕs book, The Thomson Masonic Fraud. 10 COGMNA the Conference of Grand Masters of North America. 11 “In about 1904 Crowley was initiated into Craft Freemasonry in Anglo-Saxon Lodge No. 343, recognized, as of 1964, under the jurisdiction of the Grande Loge Nationale Fran?aise in Paris as No. 103. At the time it was under the jurisdiction of the Grande Loge de France, and so was not recognised by the United Grand Lodge of England as a regular masonic body. He was initiated, passed and raised over a period of several months in 1904.” Matt D.A. Fletcheran, “Aleister Crowley and Freemasonry.” Grand Lodge of British Columbia and Yukon A.F. & A.M, 1994.